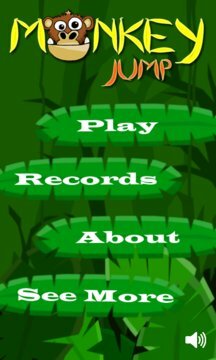 Monkey Jump is a dynamic and colorful arcade game. 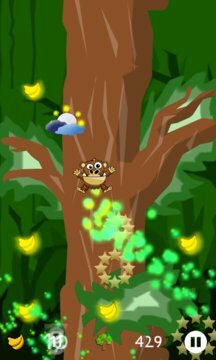 The game puts you in a funny monkey that climbs by collecting bananas on the tree. The more bananas you collect the higher you manage to get. In the game there are many additional items that can help or hinder. Remember to avoid the hedgehog because his job is to push the monkey from the tree. [+] Fixed some minor bugs. [+] Added "how to play" and SplashScreen.